Dr. Simon N. Gicharu, Kenya. 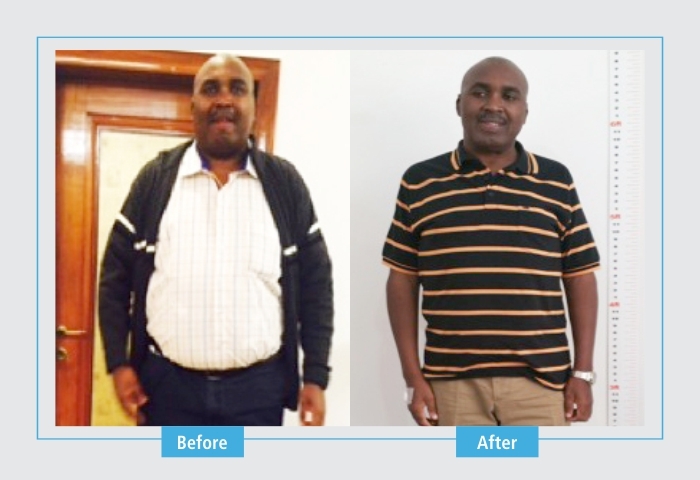 Mr SGN, 50 year old male from Kenya, weighed 135 kg and suffered from recurrent attacks of gout. In addition, he also had high cholesterol levels and was pre-diabetic. He underwent Robotic Mini Gastric Bypass, and within a week went back home. 6 months later, his sugars, cholesterol and uric acid levels had normalized, and his weight reached 100 kg. He is now healthier, and does not have any further health concerns.